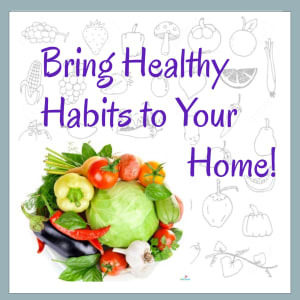 Bring Healthy Habits to Your Home! Here's a list of ways you can Bring Healthy Habits into the Home! Have them decide "what's for dinner tonight"
Remember, ultimately you are the food purchaser/decider, what you buy your kids eat! Plan weekend activities together what are your kids interested in doing? At the end of each day, talk with your kids; what went well that day, what didn't?